Staff, residents, and Ohio University nursing students volunteered on Tuesday at Shawnee State Park. 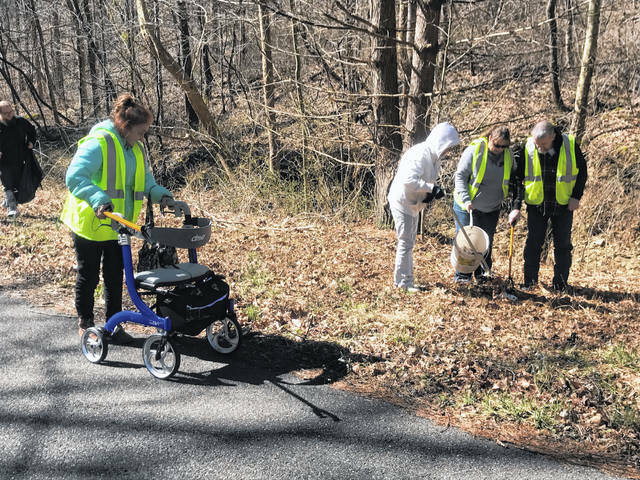 Residents are assisted in cleaning up litter. 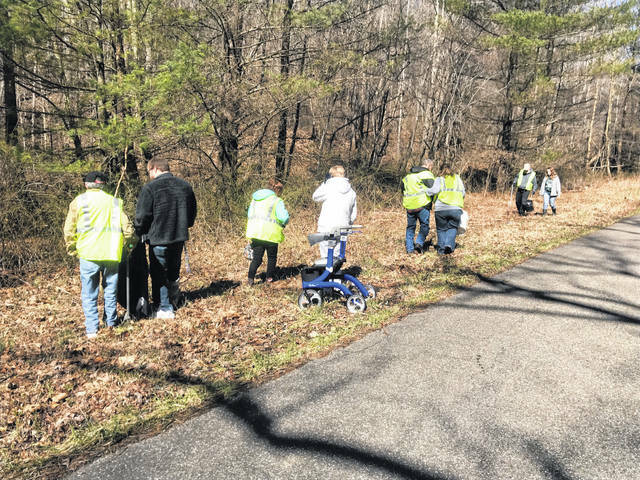 Edgewood Manor of Lucasville I & II volunteered once again as part of Shawnee State Park’s Spring Clean-Up on Tuesday. 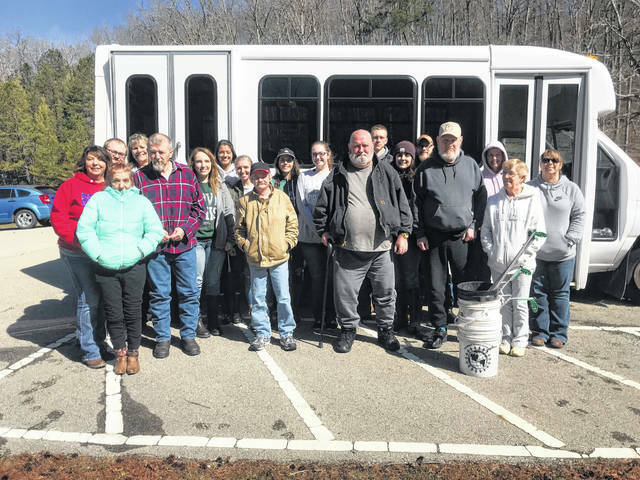 According to Shawnee State Park Naturalist, Jenny Richards, the group is perhaps the most dependable group with the facilities taking part in the clean-up effort for over five years. On Tuesday Residents, staff, and Ohio University nursing students that interact with residents as part of their mental health curriculum, along with nursing instructor Angie Daul, met at the park and after deciding which area the group would be assigned to, and after retrieving gloves, trash bags and other necessary items, the volunteers got to work picking up trash. 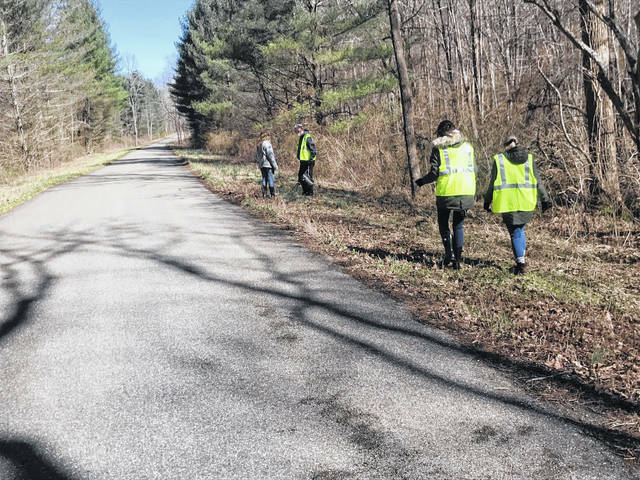 The group began collecting litter along a road in Shawnee State Forest, and were advised that the bags of litter they collected would be picked up at the end of the day by Park staff.